Today I woke up very excited! 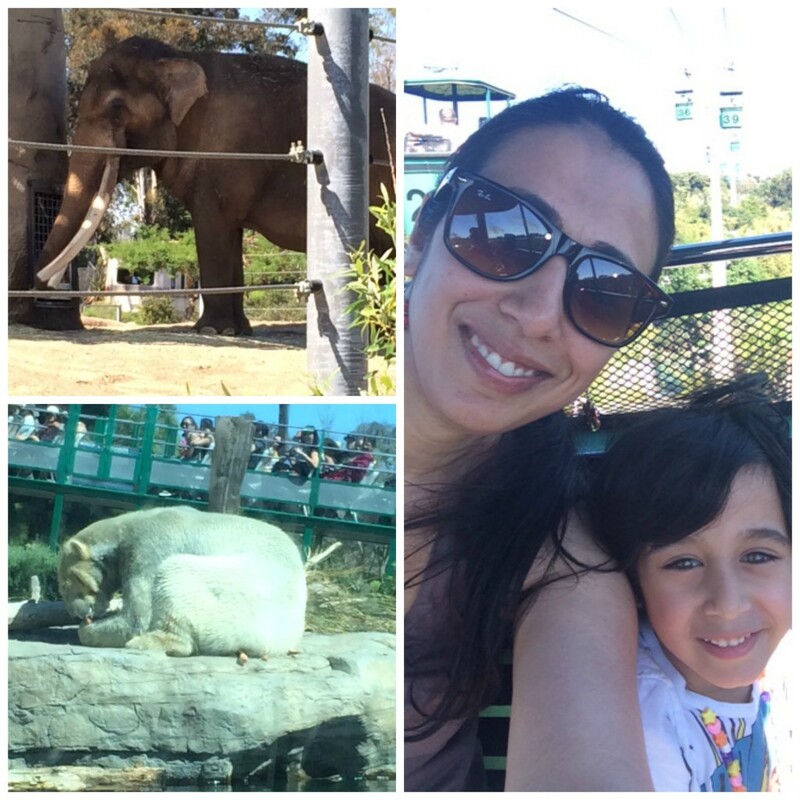 After yesterday’s fun beach day, I was looking forward to taking the kids to San Diego Zoo! The last time I went was more than 20 years ago with my parents and siblings when we took a road trip from Vancouver to Los Angles. I knew there was a lot to see and couldn’t wait to experience it again for the first time with the kids, the hubby and the in-laws. Before we could start, we had to stop at a tourism location to activate our 5-Day Go Card. Then it was a bit of a drive to the Zoo. When we go there, it was pretty hot, so we slathered on the sun screen, put on hats and sunglasses and headed inside. Being Saturday, it was a really busy day! 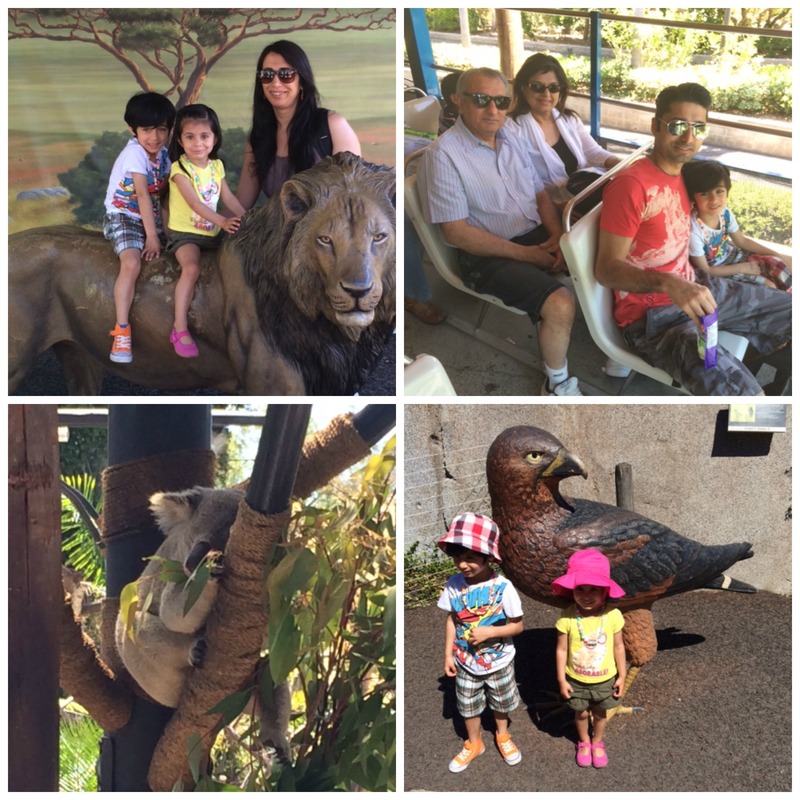 The first thing we decided to do was take the double decker bus tour which would show us around a big portion of the massive zoo! This way we got to get a quick look everywhere and then we could decide which areas we wanted to walk to and have a closer look. After the ride everyone was hungry so we had quick bite. Then it was back to seeing the animals. 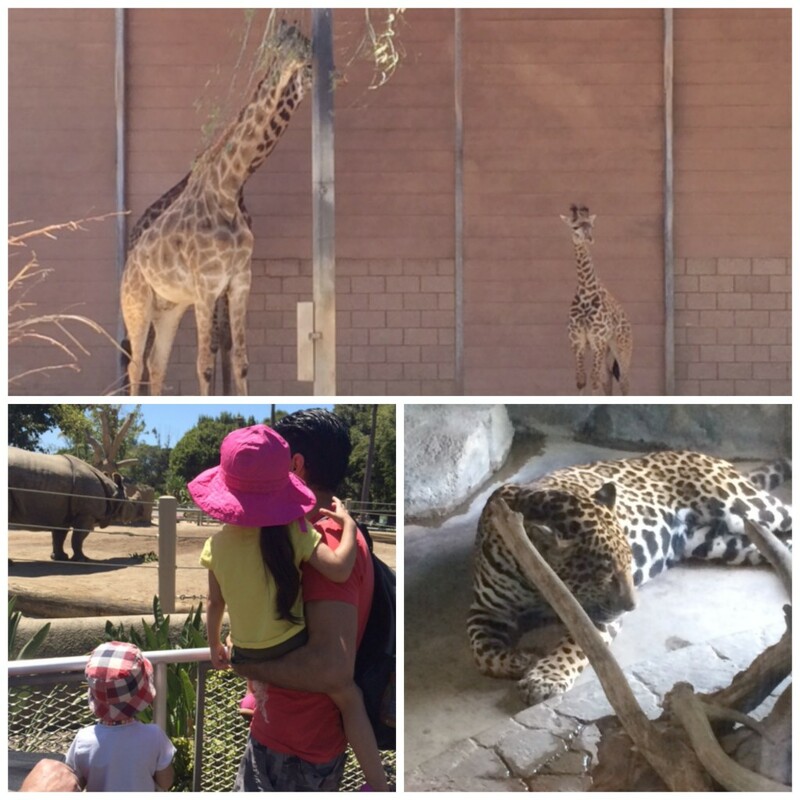 We got up close and personal with giraffes, rhinos, zebras, polar bears, elephants, lions, jaguars, koalas, alligators, crocodiles and turtles or every size! Then we took an awesome Skyfari ride from the top of the zoo to the bottom. We got an amazing view of the whole zoo and more from so high up. After we came down, the kids played in park area and petted some goats before we realized it was already 5:30pm! We had thoroughly enjoyed our day at the zoo and before we left, the kids made some penny zoo souveniers. As soon as we got in the car, the kids, who had of course missed their afternoon naps, fell asleep right away for an evening siesta. As we got closer to our hotel, we stopped for some dinner. 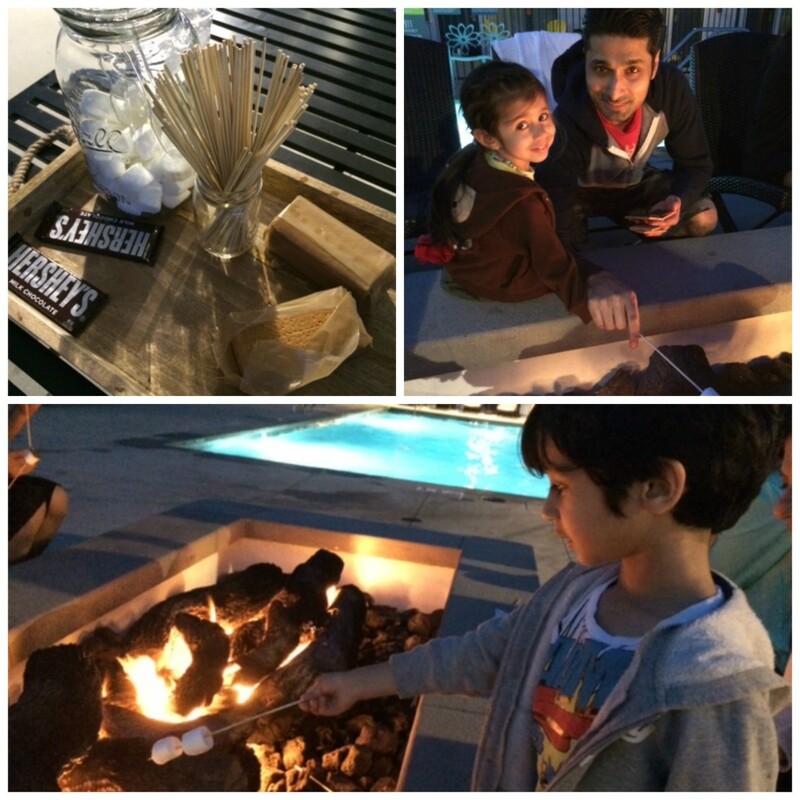 When we got back to our rooms, we put on some light sweaters and headed to the pool to join in making s’mores at the fire pit. As crazy as it sounds, none of us have ever made s’mores before! And boy did we enjoy it!. Then is was back to our rooms to hit the showers, eat a snack, read some bedtime stories and off to bed. We were all tired after a long, fun-filled day. And I’m sure everyone was dreaming about the next adventure of our San Diego Vacation. Thanks Razia Aunty, I’m sure would really enjoy it as well! Good break for all of you. Miss you guys. What a amazing fun day you guys were having. mmmm. roasted marshmallows. Great pics. & memories.